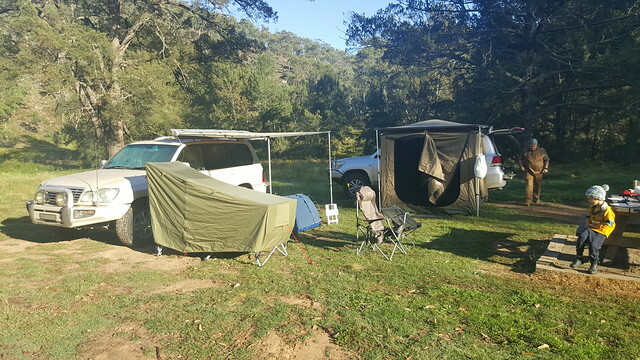 Originally on this weekend, Lucas and I were planning to compete in a pairs Mountain Biking event, however when that was postponed, we thought it would be a good idea to go camping anyway. 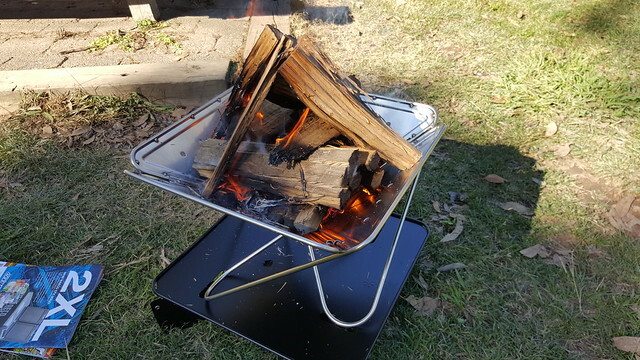 Trent had only recently bought a snowpeak fire pit, and (of course) needed to test that before using it on a trip. It made perfect sense then, to head away to our favourite spot at the Turon River for a night and test it out. Lucas and I threw the swags in the back of the car and headed for the hills with Trent at about 11. A short drive up the mountains with a pie on the way, and before long we were descending the hill to the Turon river. 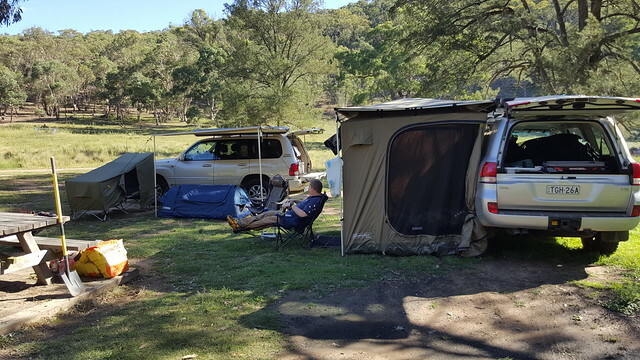 Past the main camping area to find our favourite spot once again free for us to enjoy. Quickly camp was set and the snowpeak was put together and lit to cook up some chorizo first up, and later dinner. 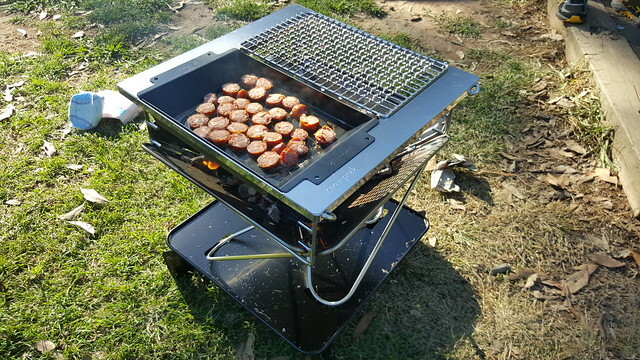 It performed admirably and even kept us warm after the sun went down. Did anyone see where Trent went??? Preparing for the armageddon, nobody can find him. I had a great night sleep, really enjoyed sleeping in the swag and find it supremely comfortable. I know it probably isn’t everyone’s cup of tea, but I love sleeping in my own little enclosed space. After breakfast we took our time to pack up before doing a bit of an explore around the local area before heading back up the hill and back towards home. 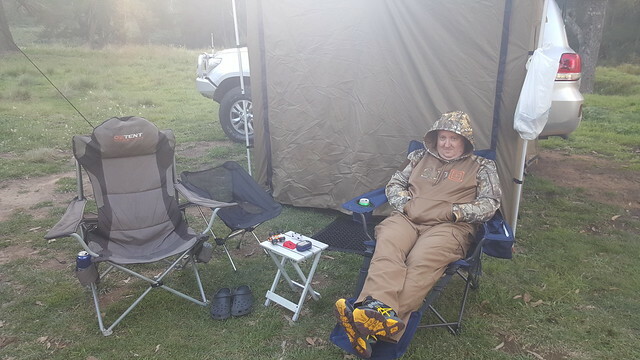 Another great weekend away – I’m sure we’ll need to have a planning weekend for something, somewhere soon!